A new year brings new colours, new ideas and new inspiration for interiors! 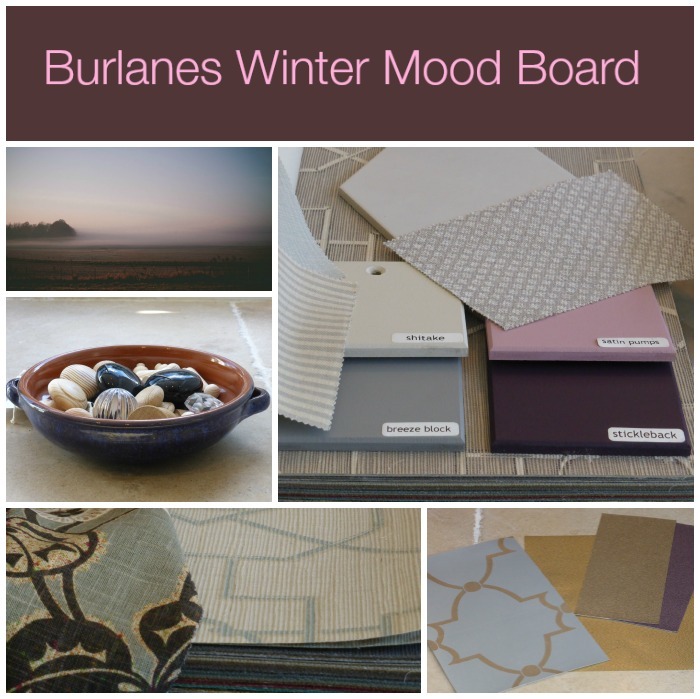 The Burlanes Winter Mood Board is full of products, colours and textures from our suppliers that we use in our schemes for clients. We hope it will inspire you to create your own dream space! We've banished beige but there is simple beauty in natural and muted colours. However, experiment with paint, fabric and wallpaper colour combinations and mix it up a bit. If you get it right three shades used together in the same room can add warmth and texture and look stunning! The Burlanes paint range includes a warming winter palette that perfectly complements the fabrics and wallcoverings. The beautiful wallpapers are from Thibaut who prides itself on designing distinctive patterns. We adore their exquisite designs and hope to use them in our kitchen design and interior design projects soon! The fabrics are from Edinburgh Weavers. Fine artists create their designs – not fabric designers – and they have the freedom to develop imaginative pieces, uninhibited by the technical constraints of textiles manufacturing. The results are truly unique fabrics – richer and more intricate. They make inspiring backdrops for contemporary living. If you like what you see and are looking to make some of your own home improvements then don't hesitate to contact us and our head designer can go through any interior design ideas you may have. We create a different mood board each season. Check out our 'Autumn Hues' here. Spring next although that seems like a lifetime away so in the meantime cosy up and enjoy a warm winter!